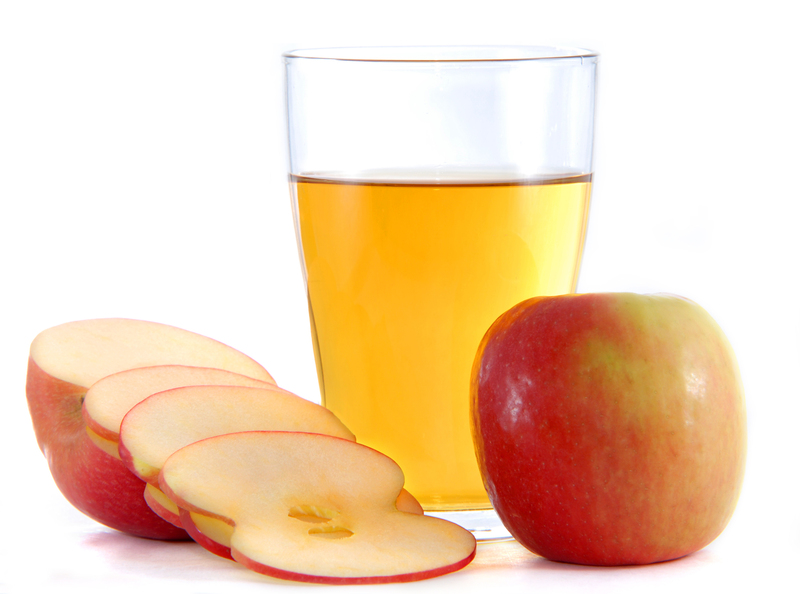 It’s very likely that you’ve heard the buzz around Apple Cider Vinegar (ACV) in the alternative health world. There’s a lot of contention around how many of those benefits are valid, and the truth is, it’s not always easy to figure out. At the end of the day this is what we know: not a tremendous amount of scientific studies have been done on the effects of ACV relative to the benefits we hear about it. That being said, this lack of research doesn’t mean that a lot of those benefits aren’t true! It just means they haven’t been studied extensively enough in the scientific community. But hundreds of thousands of people worldwide and throughout history have used ACV for it’s amazing properties, and there is enough collective experiential evidence to make it worth a try. We could make a list of benefits pages long, but instead we’ve picked what we think are the 5 top benefits that have some overlap of support between both the alternative and conventional medical communities. Disclaimer: We are not medical professionals, and this is for informative purposes only. If you are on medication, it is important to check with your doctor or alternative healthcare practitioner before integrating ACV into your diet as a food or supplement. This prevents contraindications with any medications you might be taking! The enzymes in Apple Cider Vinegar help you break food down more efficiently, and the high acetic acid content boosts your mineral absorption, slows digestion down, and reduces starch absorption. This means you’ll feel full faster! Most of the studies have been done on mice, and those that were done on humans found that while weight loss did happen, it was a marginal amount over a 3 month period. That being said, those participants studied did not make other significant changes to their lifestyle, and ACV isn’t a miracle drug! The bottom line is it helps your tummy do its thing better, and that’s always a bonus. To get more ACV in your diet, check out these recipes! Another route is adding ACV to your water- the most common dosage being a tsp in a glass with your meals. Best ACV options should be raw, organic, and containing the “mother”, which is what makes it look cloudy and adds many of the health benefits. Not a fan of the taste? You’ll get used to it! And adding some raw honey can help. Improved digestion has the side-effect of improved hair and skin, because you absorb more nutrients and eliminate more effectively. But beyond that, because ACV has anti-bacterial and anti-fungal properties, applying it topically (diluted so as not to burn your skin! 1:10 ratio is best) can do wonders for all sorts of funky skin conditions, and also tones and balances your skin and hair. The acidity of ACV particularly can help with dandruff, and a study in the Avicenna Journal of Phytomedicine has found that massaging diluted ACV on stretch marks reduces their appearance. ACV is also proven to help with itching from mosquito bites, with soothing sunburn, and with reducing body odor! Want to get all these benefits at once? Fill a warm bath up, add two cups of Apple Cider Vinegar, and soak for 20-30 minutes. For more day-to-day use, here’s a great recipe for an ACV toner. One of the most scientifically-supported benefits of ACV, published by Diabetes Care among others, comes from its significant effects on balancing blood sugar for those with type 2 diabetes. Specifically, it improves insulin sensitivity and helps lower your blood sugar responses after high-carb meals by approximately 20-30%. Maintaining healthy blood sugar is important for everyone, and that involves attending to your diet and lifestyle. But ACV gives you an added boost, and these benefits were found by drinking it diluted before meals as suggested in our first point! Many of the risk factors of heart disease were found to be improved by vinegar consumption in an animal study published by The Journal of Membrane Biology, due to the reduction of cholesterol, triglyceride, and overall blood pressure levels. Human studies have been limited to one made by Harvard, which noted that women consuming more vinegar had reduced heart disease risk, but this is a notable enough finding to take into consideration! Also, the aforementioned improvement on blood sugar and insulin sensitivity are also very helpful in reducing heart disease risks. As PCOS is a hormone-based syndrome linked to insulin resistance in 65-70% of women suffering from it, the improved effects on diabetes patients also carry over here. 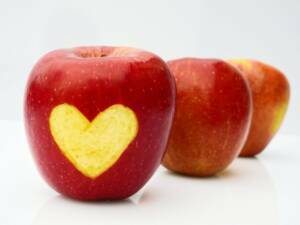 The weight-loss support of ACV also helps, as 50% of women with PCOS are obese or have greater tendency towards weight gain. The Tohoku Journal of Experimental Medicine published a study that found ACV provided notable improvement to PCOS symptoms within 110 days. In another micro-study with 7 women with PCOS, who took one tbsp of ACV a day, it was found that 4 women resumed ovulating and 5 had decreased androgen production. So while PCOS requires a holistic and broad range of lifestyle and dietary changes to manage, it is evident that ACV is a strong contender in these adjustments! That’s all for now folks! Hope you’ve found this interesting. If you have any personal experience with Apple Cider Vinegar, or find that you discover it’s amazing benefits after reading this blog, please share in the comments! We love hearing from you. Tala is currently completing her psychotherapy certification at the Ontario Psychotherapy and Counseling Program. Her passions include magical realism, alternative knowledge systems, and overcoming boundaries and blockages both within and outside of the self. She believes that encounters and explorations of tensions related to race, class, gender and colonization—in both old and new forms—can lead to healing and a greater awareness of the interconnections between self, ‘other’ and the environment we live in. ACV never ceases to amaze me. Besides these powerful benefits, it also delivers probiotic bacteria and improves gut health. And I can definitely confirm its skin-healing properties. I use ACV spray for so many things, from bites to cuts and irritations. Thank you, Alex. ACV is really great. Glad you liked the article.